It is common knowledge that adults need to know the purpose and be motivated to undertake training. This in turn makes learning meaningful and memorable. In the context of e-learning, an appropriate strategy needs to be adopted to make learners actively participate throughout a course. There are various instructional strategies such as logical presentation, storytelling, guided learning, scenarios, learning through explanation and discovery, case studies, etc. In this blog, we will look at ‘Scenario based e-learning’ (problem-based learning or whole task learning). This is a highly interactive strategy that puts learners in the shoes of the problem solver to respond to real life situations. Scenario-based learning enhances the learning process as it includes very less text and more of conversational-based learning. Scenarios are the best option when you want learners to ‘perform’ rather than ‘inform’, for this is a way to stimulate the minds of learners. Adopting this strategy motivates learners to involve themselves in the learning as they can relate to a specific situation and identify themselves with the characters in the scenario. 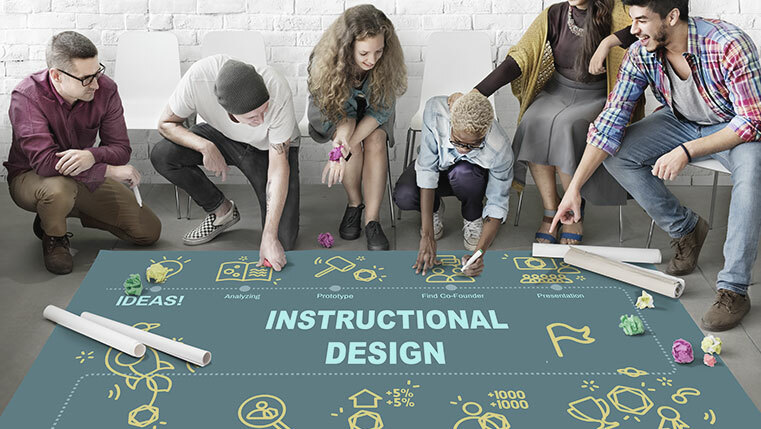 In a paper titled “Elements of Effective e-Learning Design” published by The International Review of Research in Open and Distance Learning, Andrew Brown and Bradley Voltz identify “SCENARIOS” as one of the six areas that one needs to keep in mind while designing e-learning courses. The others are Activity, Feedback, Delivery, Context and Impact. In fact, with innovative media elements, audio and video simulations, learning scenarios have become more engaging, interactive and interesting. Are the learning outcomes based on problem-solving and skills development? Do the learners possess basic knowledge on the subject? Are you equipped with enough time and resources to adopt this strategy? Is it easy for you to provide real world experience on the skills? Here are some quick tips on developing learning scenarios to deliver successful training. 1. Pick up a scenario that addresses a problem or specific situation faced by employees of the organization. It would be a good idea to use the jargon and language commonly used in the organization. This naturally engages employees as they completely identify with the learning scenario and actively participate in the learning process. This approach works best for trainings that involve problem solving or decision making processes. 2. Once you pick up a scenario, describe it effectively to gain employee interest and attention. For this purpose, you can use several media elements such as images, audio, video and simple animations. Depending on the available resources, you can create scenarios describing the intended subject. You can use a simple image with a call-out and embed audio in the background. Or you could have the entire scenario enacted using animations. Whatever method you use, you have to remember that the learning goal is important and not so much the method used. Therefore, one has to restrain from using fancy media elements and animations that may distract rather than facilitate learning. 3. Next, have a series of questions that enable interaction with the employees and involve them in the learning process. It is recommended to have questions in a text format with a choice of answers. This provides employees the time to reflect on and answer the questions at their own pace. 4. Finally, provide feedback to the answers provided by employees to various scenarios or situations. This ensures that learners are exposed to various perspectives of a given situation. The feedback can be direct in some cases, and in some cases it may be weaved into the storyline as in the “cause and effect scenarios”. For example, if you are in this situation, you can decide on X or Y. If an employee chooses X, the storyline will move in a particular direction and if he chooses Y, it will move in yet another direction. Immediate feedback proves to be motivational and educational to learners while reinforcing the cause and consequence that you wish to reiterate for the given situation. In the end, the learning objective should be able to provide clear guidance to the employee on the best decision or actions to be taken, keeping in mind the organization’s interests. Scenario based strategy is an effective instructional approach and is proven to enhance expertise in tasks of the employees. Do you have any success stories to share on learning scenarios that helped enhance the learning process? Please share your experiences and thoughts on the subject by commenting in the box below. Editor’s Note: This post was originally published in December 2012 and has been completely revamped and updated for accuracy and comprehensiveness.